Grow the food you love to eat! 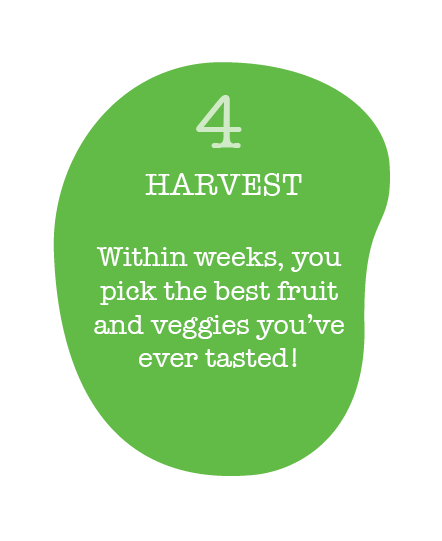 All the know-how you need to get delicious fresh produce from your backyard, school, aged care or community. It’s simple. 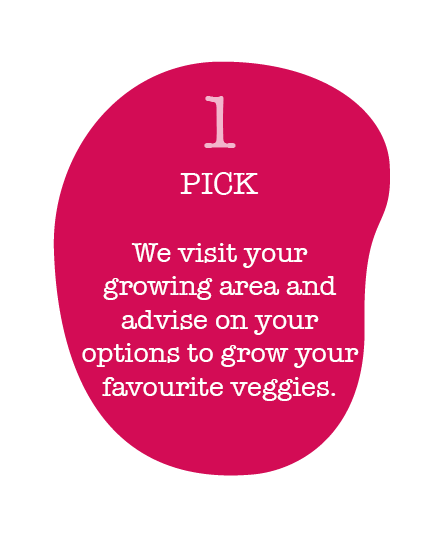 We get you started and support you with all the help you need to grow delicious crops of vegetables, herbs and fruit. You can do the digging and planting or we can do the spadework for you. Any size patch can be productive! A Sow Great gift voucher can start a new hobby, teach new skills and gives abundant delicious produce in the months ahead. 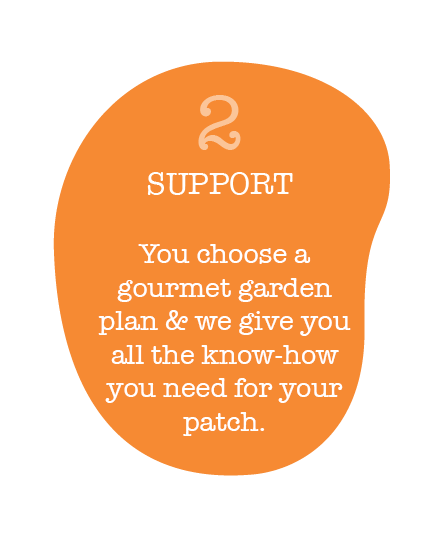 You can choose from one of our Gourmet Garden Plans or we can issue a voucher for a dollar amount for the recipient to use as they choose.